Apple’s annual September product event is happening Tuesday, and all signs point to it being huge. First, it’ll be the inaugural event for the Steve Jobs Theater on the new Apple campus. 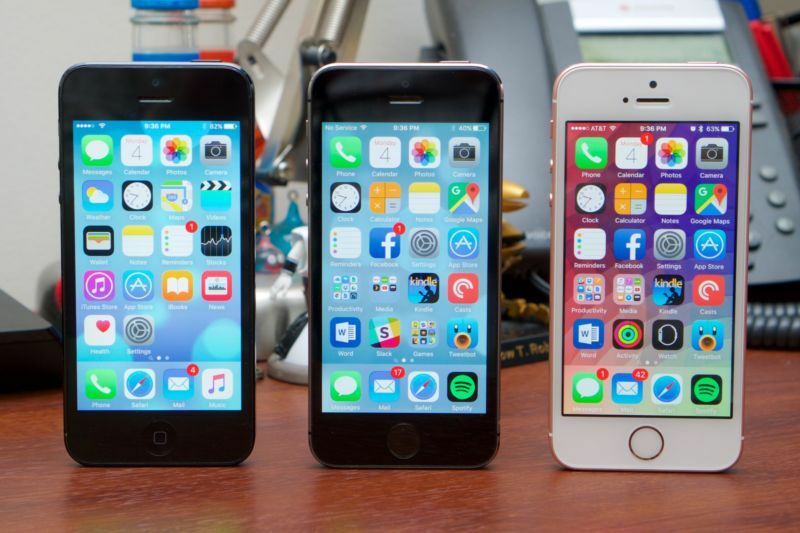 Second, the company is expected to release three new iPhones, which is a change from recent norms. Third and most importantly, the iPhone 8 will be the showstopper of the event. It’s expected to look very different from any iPhones that came before it, it’ll sport a bunch of new features never seen before on an Apple handset, and it’ll probably be expensive, too. New iPhones aren’t the only announcements to come on Tuesday: we’ll likely see a new Apple TV and an updated Apple Watch. After the announcements made at Apple’s WorldWide Developers Conference in June, we will also hear about forthcoming software releases. But make no mistake: this is primarily an iPhone event, and it might be the biggest one since the device debuted in 2007. We’re assuming the next big iPhone will be called the iPhone 8, following Apple’s numerical naming system, but we don’t know for certain. Rumors suggest we’ll see three new handset models on Tuesday: two with smaller updates that look familiar, and one totally new device. In that case, the most obvious naming system would be the iPhone 7S, the iPhone 7S Plus, and the wild-card iPhone 8. 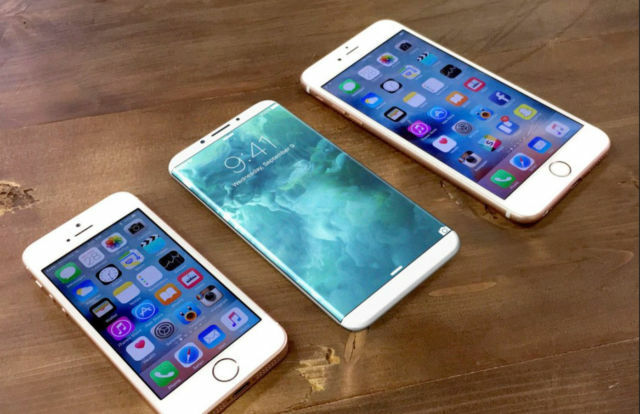 But some reports suggest Apple may skip over the iPhone 7 “S” series altogether and name the new devices the iPhone 8, 8 Plus, and iPhone Edition. We’ve also seen mentions of names including the iPhone 10 (for the 10th anniversary of the original iPhone), the iPhone X, or the iPhone Pro. No matter what it’s called, what many have dubbed the iPhone 8 will be the device with the most changes. The other two models may follow previous “S” generations, which means they’ll receive incremental updates, including better cameras and a processor upgrade. Apple will make a statement with the iPhone 8 in design and features. Reports suggest the iPhone 8 model will be similar in size to the 4.7-inch iPhone but have more screen space than ever thanks to an edge-to-edge display design. This model is expected to have Apple’s first OLED display on an iPhone as well, which means the device would consume less power while offering better contrast and color payoff. An OLED panel would also allow Apple to produce a thinner device overall, which is something all smartphone OEMs love to do whenever possible. But OLED displays come with compromises: they don’t have as long of a shelf life as their LCD counterparts, and they can be more prone to burn-in, which is when the ghost of an image sticks to the screen for a bit. Apple is likely hoping the benefits of OLED will outweigh the compromises, especially if the panel’s energy efficiency allows for a longer battery life. The purported edge-to-edge display affects a lot on the front of the iPhone. To accomodate this design, Apple has to shave off as much of the top, bottom, and side bezels as possible, in addition to removing the physical Home button and possibly altering the position of the front-facing camera, speaker, and mic. One report says that the iPhone 8 will forgo the physical Home button entirely, while the fate of Touch ID is less clear. Other reports say Apple will do away with Touch ID entirely by using new 3D-imaging software in the front-facing camera to create a facial recognition unlocking system. Instead of using your fingerprint to unlock the iPhone 8, you’d only need to place your face in view of the front-facing camera. Still other reports suggest the new facial recognition software will just be an alternative to Touch ID and that the technology will be built “underneath” the OLED display. Evidence of a facial recognition system was recently uncovered in Apple’s HomePod firmware. Numerous “FaceDetect” methods were found buried in the new home speaker’s firmware, suggesting the new system can identify faces from multiple angles and from various distances. References were also made to infrared technology, so we may see the inclusion of an infrared camera on the front of the iPhone 8. This system is rumored to be even more secure than Touch ID since it captures more data points about your face than Touch ID does about your fingerprint. In addition to unlocking the new iPhone, the facial recognition system could be used with Apple Pay to authorize payments. Apple did confirm that a facial recognition system is in the works, but we won’t know in what capacity it’ll be implemented in the iPhone 8 until the launch. While the HomePod firmware gave us some insight into the facial recognition feature, it did not provide insight into the fate of Touch ID. There were no mentions of an under-the-screen Touch ID system, and some reports suggest production problems may have stalled that feature. Either way, Touch ID isn’t totally dead—if the other two new iPhones follow the “S” protocol, they will likely still have a physical Home button that supports Touch ID. Talk has been circulating about the rear cameras on the iPhone 8 as well. The handset could have a vertical dual-lens camera on the back, which would be different from the horizontal setup found on the iPhone 7 Plus. There could be optical image stabilization on both cameras, which would be another departure from the 7 Plus that has OIS only on its wide-angle lens. The new camera combo may have an integrated 3D system for capturing objects in 3D in photos and could also be used in augmented reality programs. Apple may be ditching aluminum for the new smartphone’s body and going back to glass. 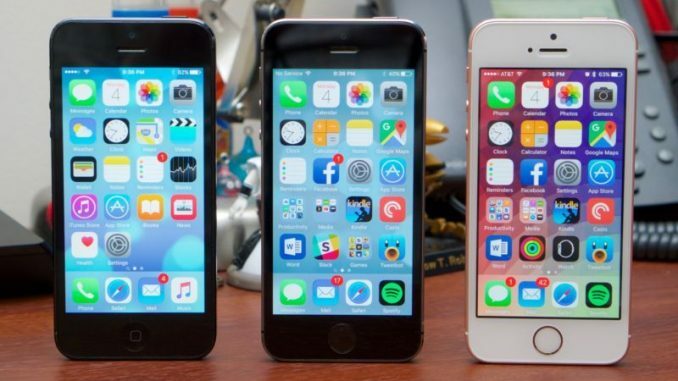 Every iPhone from the iPhone 5 until the most recent iPhone 7 models have aluminum bodies, but Apple may go back to a glass design similar to that of the iPhone 4. Some reports suggest the glass body will be built around a stainless steel frame, similar to how the Apple Watch is constructed. Despite the change, the iPhone 8 is still expected to be water-resistant, like the iPhone 7. The body of the handset will also serve another purpose: wireless charging. Apple is expected to include induction-based wireless charging technology in the iPhone 8 and sell a separate accessory that would allow the device to be charged without being plugged in. The accessory may be similar to the Apple Watch’s charger, as that device can only be charged wirelessly using induction-based technology. The iPhone 8 will likely still have Apple’s Lightning connector that supports charging, but the wireless option will be available to those willing to spend the extra money on the optional accessory. Another factor that could improve battery life is a new processor. We’ll likely see a new chip in each new handset, possibly the A11, which reports say Apple has been testing with a 10-nanometer production process. Reducing the size of the processor from 16 nanometers to 10 can make the devices more efficient even with all the new features included. As far as pricing goes, most reports speculate the iPhone 8 will start at $999. This would make it the most expensive base iPhone model ever. Not much has been said about storage and RAM options: any new iPhone models will likely have either 2GB or 3GB of RAM, and the base models will likely have 64GB of storage. If that’s true, we could see iPhone 8 pricing as such: $999 for the 64GB model, $1,099 for the 256GB model, and $1,199 for the 512GB model. A small but important announcement at WWDC was that Amazon Prime video would be coming to the Apple TV in the fall. We’ll likely hear more about this at Tuesday’s event, as well as a bigger update to Apple TV. Reports suggest Apple will reveal a new TV set-top box with a more powerful processor that can stream 4K and HDR content, putting it in the same category as the Roku Ultra and the Amazon Fire TV. The Apple TV was last updated in 2015 with a new remote, app store, and Siri support. But a serious update to the functionality and performance of the box hasn’t come in years. 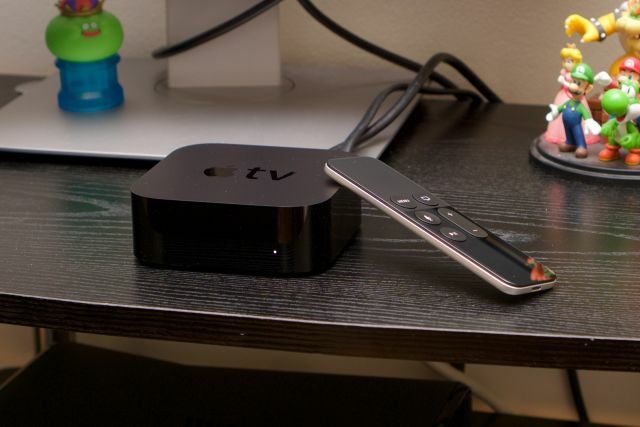 Apple needs to update the Apple TV to stay competitive in the streaming world. While 4K content isn’t widespread yet, companies are adding support to play such content so they can be ready as more TV shows and movies are filmed in 4K. Netflix has a good amount of 4K content, but to watch it in all its glory, you need a 4K display and possibly a 4K streaming device to do so (depending on your setup). In all likelihood, Apple is priming its main streaming device for the 4K and HDR content it plans to release in the future. Everyone knows Apple is focusing more on original content: it hired former Sony presidents to lead the content initiative, and it allotted $1 billion to spend next year on “procuring and producing” original content. We don’t know what form that content will take, but it’s safe to say that at least some of it will be 4K. Currently, Apple has a few shows streaming on Apple Music, including Carpool Karaoke and Planet of the Apps. Reports suggest the company has also been talking with Hollywood movie studios to sell 4K titles on iTunes, but pricing has been the subject of ongoing negotiations. I anticipate some content announcement at Tuesday’s event. It might be vague—as in, a timeline of original and licensed titles to come out over the next year—but it would be remiss of Apple to launch a 4K Apple TV without at least some smattering of new content to get people excited. The Apple Watch will likely make an appearance on Tuesday’s stage in the form of a new model with standalone LTE service. This feature has apparently been in the works for some time now, but it requires a decent amount of hardware changing to make it work. Adding an LTE chip may make the Apple Watch slightly thicker than it is now, but Apple is generally good about hiding those types of hardware compromises. When it added built-in GPS to the Apple Watch Series 2, the device didn’t suffer much in terms of size and weight. With wireless service comes the question of pricing. A connected Apple Watch will definitely have a monthly wireless fee attached to it. It’s likely that carriers will provide service to the LTE Apple Watch for an additional charge per month that’s wrapped into a user’s current wireless plan, similar to how LTE-enabled iPads and other tablets are handled. This new LTE model may be called the Apple Watch Series 3, but LTE will probably be the only change from the Series 2. 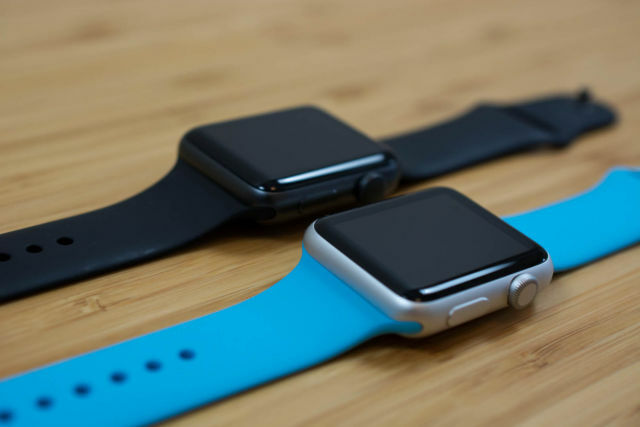 As a result of that change, Apple likely fiddled with the Watch’s battery in order to help it stand up to the consistent wireless connectivity. Currently, the Apple Watch Series 2 can last about two days on a single charge—if Apple can even keep the battery life the same in the LTE version, that would be a win. We got demos of iOS 11, macOS High Sierra, and watchOS 4 at WWDC in June. Apple will likely revisit these software updates and announce when they’ll be pushed to the public. All three updates have been in beta since WWDC, but Apple usually announces specific release dates at its September event. Some of them may even be available starting Tuesday, but we won’t know until then if any will be out that same day. iOS 11 brings Apply Pay in iMessage, “memory” tracking to Photos, ARKit, and more to iPhone. But some of the most exciting changes are coming to iPad. You’ll be able to drag and drop information between two apps in Split View, easily access apps frequently used together with the improved Switcher, markup screenshots with the Apple Pencil, search handwritten notes in the Notes app, and more. Many remarked after WWDC that the improvements coming to the iPad Pro with iOS 11 could turn those devices into true laptop competitors for the first time. Many of the under-the-hood changes will come in macOS High Sierra, the biggest being the new file system (APFS) that hit iOS with the release of iOS 10.3. APFS replaces the HFS+ system Apple computers have had for years, and it’ll update the OS with an advanced 64-bit architecture, responsive design, built-in encryption, and more. High Sierra will also introduce Metal 2 to Apple’s computers for more robust graphics and virtual reality support. The macOS update will bring features that nearly every user can see and feel. Safari will get a speed update as well as a handy feature that shuts down auto-playing videos in browser tabs. Photos is also getting new organization tools, including a new Memory category, lopping Live Photos, and in-app editing tools so you can make more advanced changes to photos directly within Apple’s native program. WatchOS 4 brings some aesthetic changes to the Apple Watch, including a new vertical Dock, new character watch faces, and a new Siri watchface that uses machine learning to proactively send contextual information to your wrist. It’ll also bring a number of activity updates to the watch, including a HIIT workout option, multi-exercise workouts, and connectivity to GymKit-compatible machines. The watch will be able to share information such as heart rate with treadmills, ellipticals, and more. There will be no shortage of stuff to talk about at Tuesday’s event, so Apple will likely not mention some devices. The iPad Pro just got an update at WWDC with a new, slightly larger 10.5-inch design and a “ProMotion” screen with 120Hz refresh rate. We haven’t heard anything new about the iPad Mini in years, so if there’s talk about iPads, I expect it will be about the Mini’s future. Apple also updated the MacBook Pros with Kaby Lake processors in June, so there likely won’t be any hardware updates on that front. Apple often has October events that it dedicates to Mac hardware, so we’ll be keeping an eye out for that in the coming weeks. Follow along on Ars Technica for all the news coming out of Tuesday’s Apple event as they happen.